Where is it that our soul doth go? is an intimate, chamber music recital presented by native New Yorker Earl Hazell, the Executive Producer of Jazzoperetry, Inc. 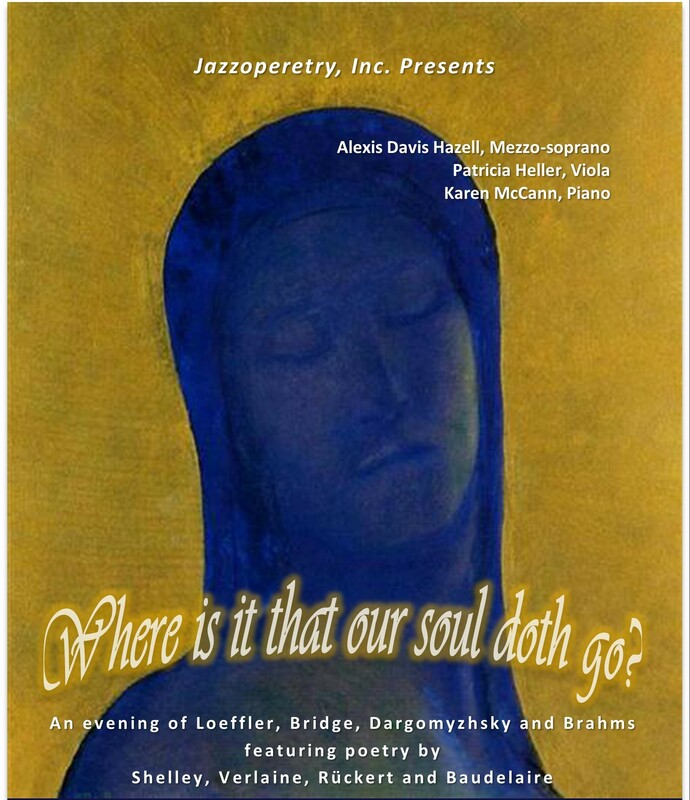 It features his wife, Philadelphian dramatic mezzo-soprano, Alexis Davis Hazell, celebrated violist from San Francisco Opera orchestra, Patricia Heller, and Canadian collaborative pianist Karen McCann. Together they will contemplate the beauty of art, the power of love, and the transcendent journey of the soul in song.